The Pinnacle | Joe Cotter is Recruiter of the Week in TE Network! I’m about to celebrate my 11th year as an employee with Top Echelon, and I’ve spent quite a few of those years as the Director of Network Operations. During my time in that role, I have spoken with literally hundreds of recruiters. (Heck, for all I know, it could be thousands.) After all those conversations and face-to-face meetings, I can say without a doubt that I hold Joe Cotter of J.D. Cotter Search, Inc. in the highest regard. He’s a consummate professional, a man of integrity, and a fantastic recruiter. Those are just three of the reasons why we’ve chosen Joe as the Recruiter of the Week in Top Echelon Network. Joe started in the recruiting profession in 1970, 46 years ago, and he’s still going strong. His firm joined Top Echelon Network as a member firm in 2001, and since that time, the recruiters of J.D. 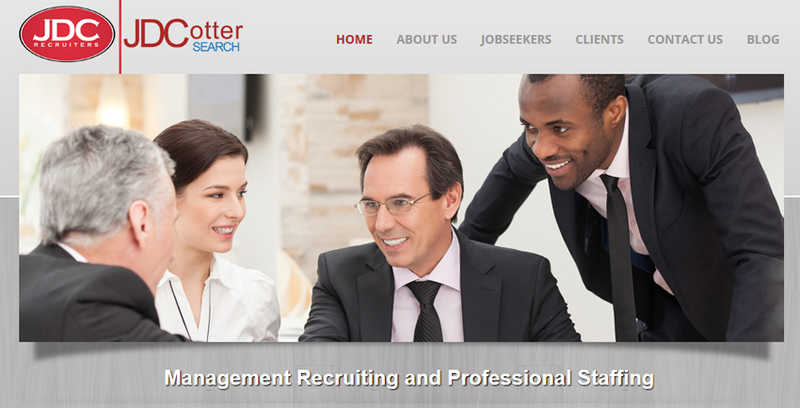 Cotter Search, Inc. have made 153 placements! Joe is a highly knowledgeable and experienced recruiter, and so are all of the recruiters that have worked in his firm. The numbers certainly do not lie! During his time as a recruiter, Joe has seen more than his share of recessions. How many? Six! Six recessions! If that many recessions don’t teach your resiliency, no amount will. Joe and his recruiting firm have persevered through them all. Joe didn’t make any Network placements in 2009, 2010, and 2011. However, he’s made Network splits every year since 2011. Look at what fellow Network recruiter Tim Hughes said below about Joe: “Joe Cotter and I work well together, especially since there is 100% trust with everything involving the company’s name.” How valuable is that kind of trust? We’re talking about 100% trust, people . . . with the names of clients and such. You can trust Joe Cotter. You can NOT say that about every single recruiter on this planet. Joe has worked with a number of different trading partners during his time in the network. That shows Joe’s flexibility and his ability to build many relationships with different recruiters, all of whom bring with them different personalities, business models, and approaches to the placement process. No recruiter exemplifies what it means to be a Top Echelon Network member more so than Joe Cotter. Joe is a veteran of the industry, a veteran of Top Echelon Network, and a model recruiter in more ways than one. We’re glad to have him in the Network, and we’re certainly glad to name him Recruiter of the Week! Submitted by Beth Milligan of Rayco Technical Solutions, LLC regarding her Network split placement with Joe Cotter of J.D. Cotter Search, Inc.